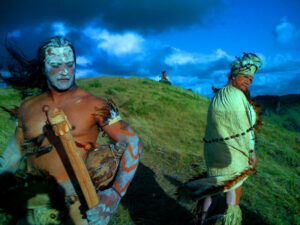 Mark (right) preparing for ceremony at the rim of Rano Kau volcano, officiated by Uri Pate Hao (left), with a drummer in the distance. 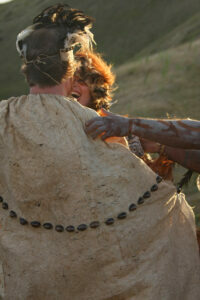 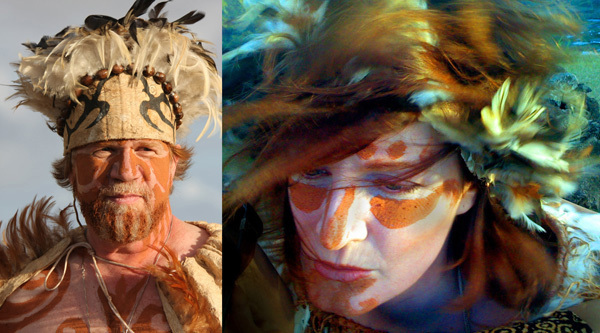 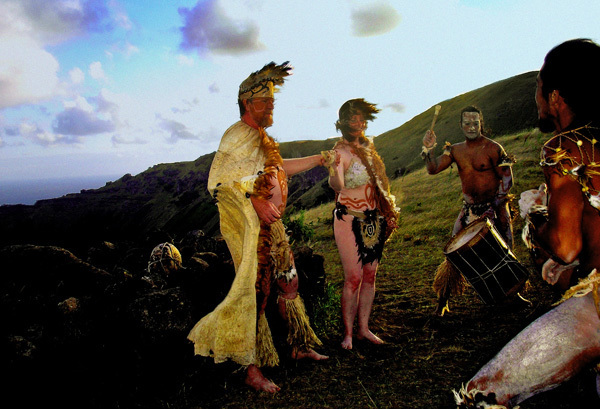 Groom exchanges vows with the bride in traditional wedding attire, Rano Kau volcano, Easter Island. 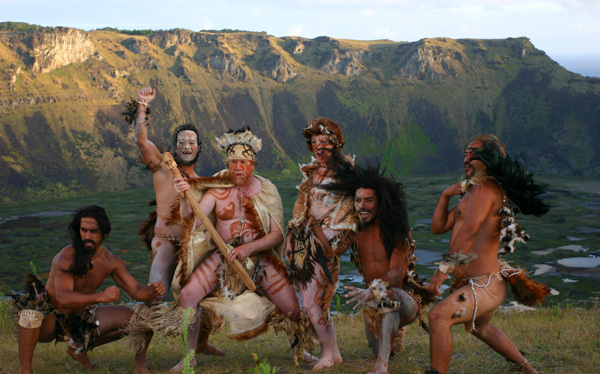 Dancers join Mark and Melissa for a wedding celebratory dance at conclusion of the ceremony at Rano Kau volcano, Easter Island. 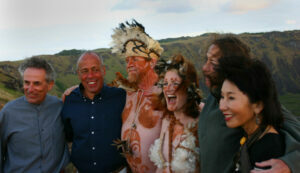 After ceremony at rim of Rano Kau volcano, with wedding guests (left to right) tax attorney Louis DeMattel, adventure story author Dr. Ken Kamler, the groom, the bride, free-diving fishing champion Granis Jane Stewart, author Amy Tan.